Careful selection of fresh picked fruit and accurate production by hand guarantee a unique taste with an unusual combination: a true pleasure for the palate! 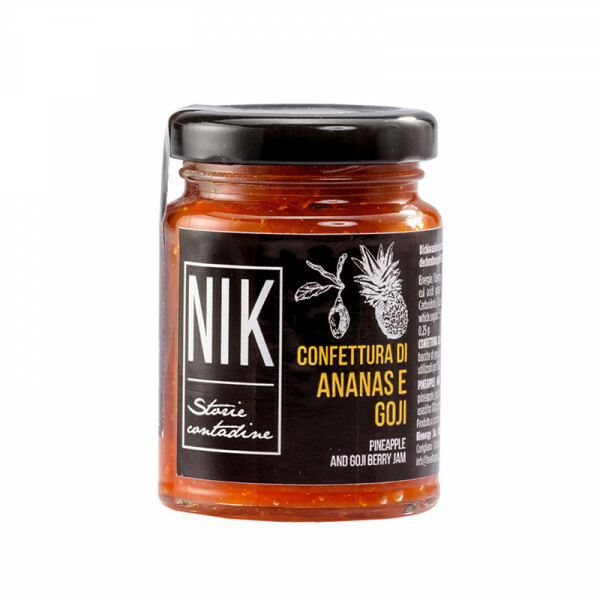 In this new combination, the fresh pineapple marries the many health benefits of the goji berries. 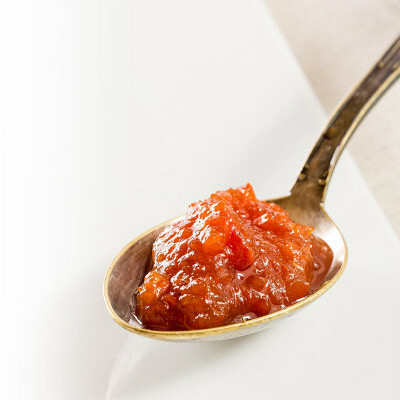 Unlike many jams on the market, Favella does not add pectin to reach the desired thickness: we only use a bigger amount of fruit to offer a high quality jam, 100% natural. 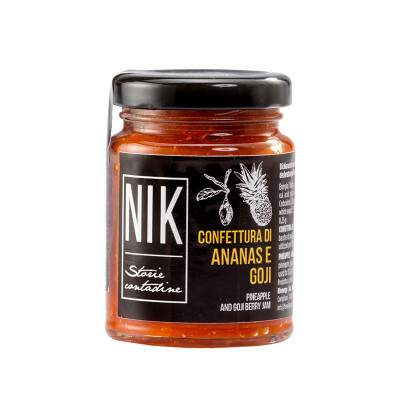 Pineapple, goji berries, sugar, lemon juice (100g of fruit used for 100g of product). Keep in a cool and dry place, away from extreme sunlight and heat sources. Refrigerate after opening and consume within 20 days. Perfect spread for bread, rusks and biscuits. Ideal to prepare cakes, biscuits and tarts. Delicious in combination with hard and semi-hard cheese.